Our club is outside of the SFRA area around Washington, DC, but we are close enough to know fellow modelers who are directly impacted. 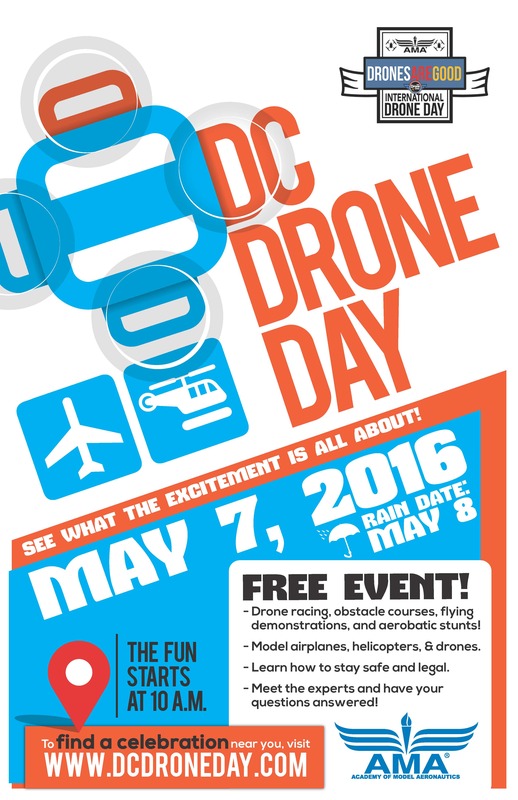 As a part of the ongoing discussions with the FAA, our AMA District has announced a multi club event to be held on Saturday, May 7 called ” DC Drone Day”. The clubs within the affected area are planning on holding a day of “drone events” open to the public. It is hoped that the public will come visit one of the participating clubs and have an opportunity to learn about safe flying, and interact with AMA members to discuss what AMA is all about. Our club is on the list of participating AMA clubs, although we will not be hosting drone races or obstacle course type activities. If at any time a visitor comes to the field for a look, please make the time to share what makes our club special and a safe place to fly.